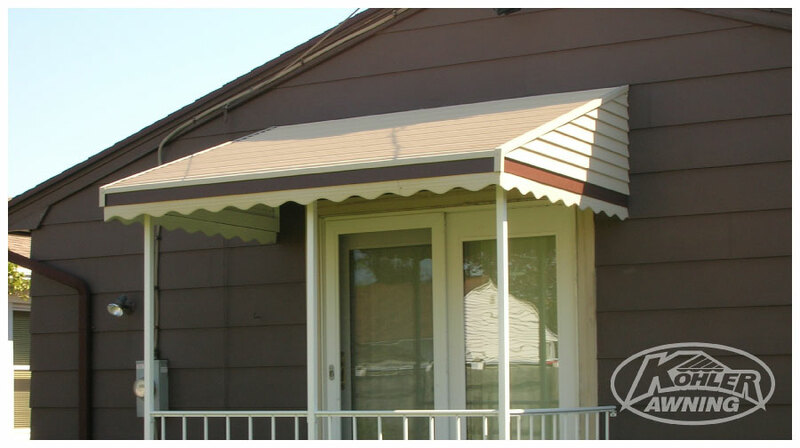 Kohler Awning manufactures custom-made aluminum awnings at our facility. 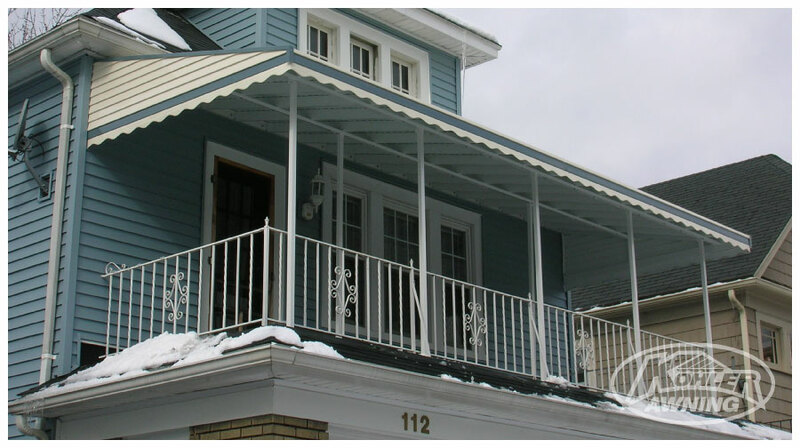 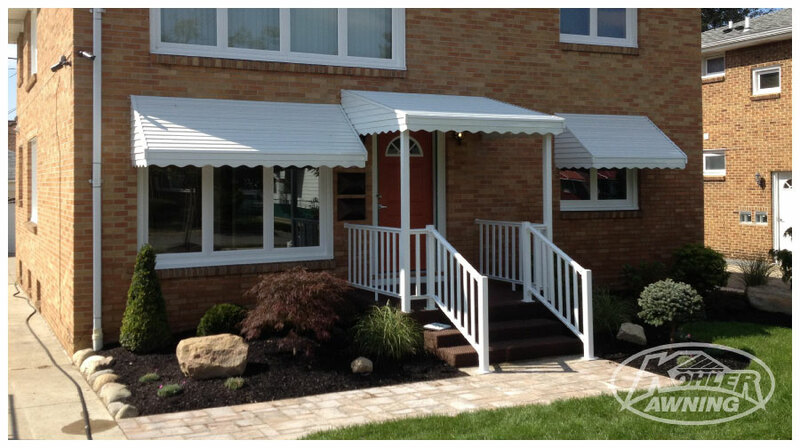 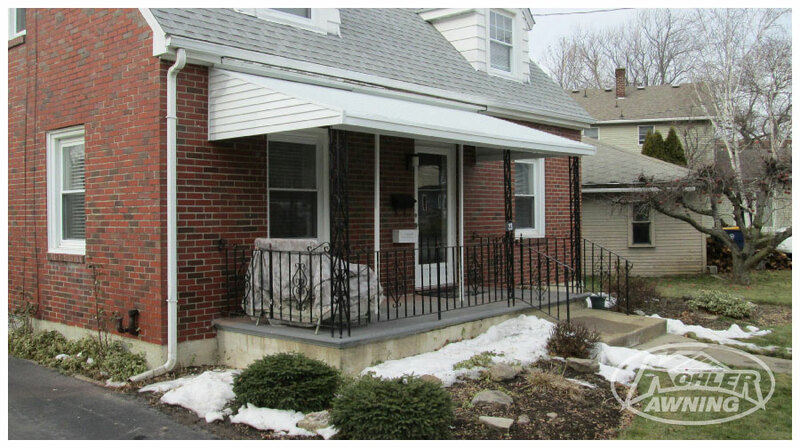 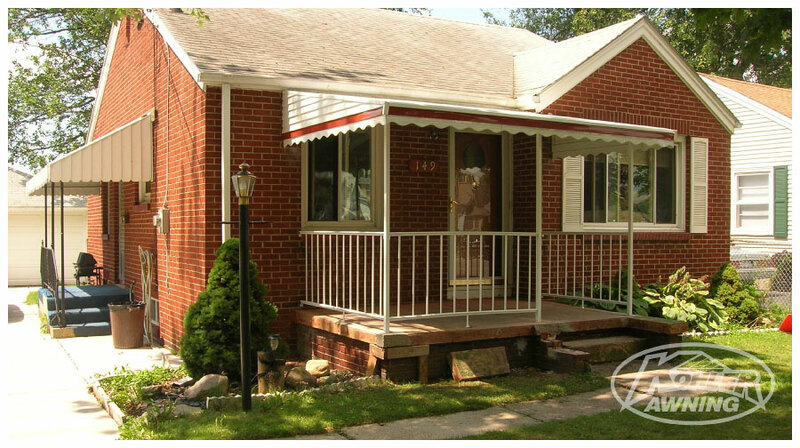 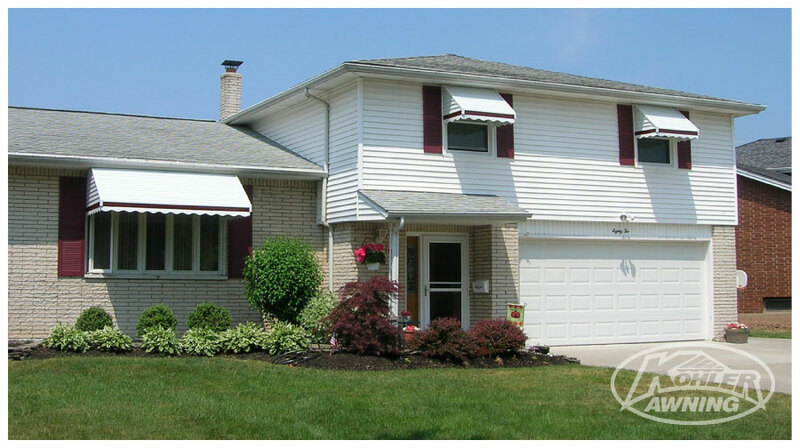 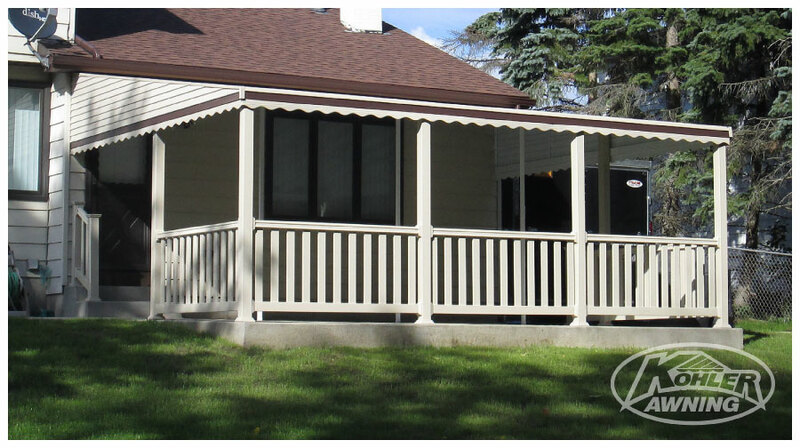 If you desire maintenance-free protection from the sun, wind, rain and snow, aluminum awning can do the job for you. 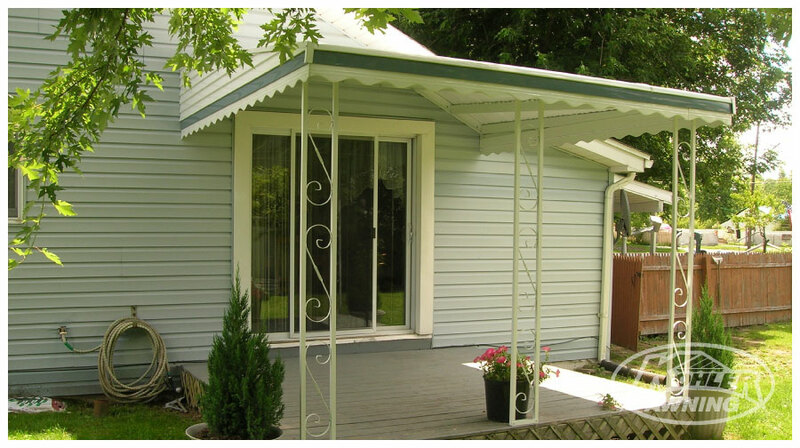 Several designs and colors are available to meet your specific need. 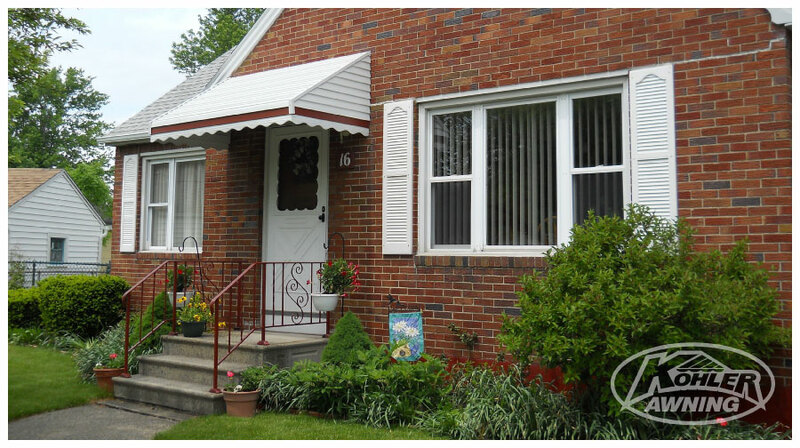 Call our office and set up an in-home visit with one of our experienced sales professional now. 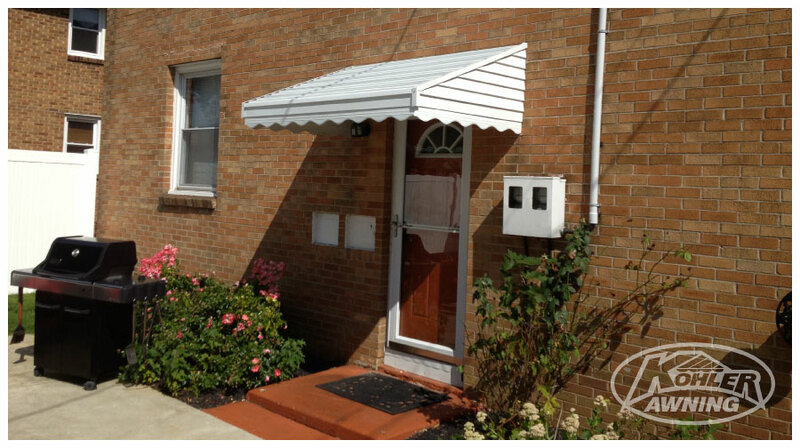 hold up to the toughest winters or hottest summers, these awnings make for the perfect low maintenance year-round protection.